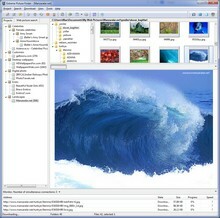 Endless Slideshow Screensaver is a unique free photo screensaver for Windows with two main features. 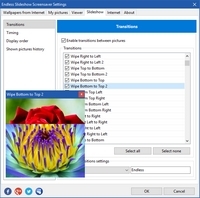 First - it allows you to display your photos or any other pictures from local or network folders in a slideshow mode with beautiful transition effects, customizable delay and transition duration, automatic photo resize and many other things that traditional slideshow screensavers have. 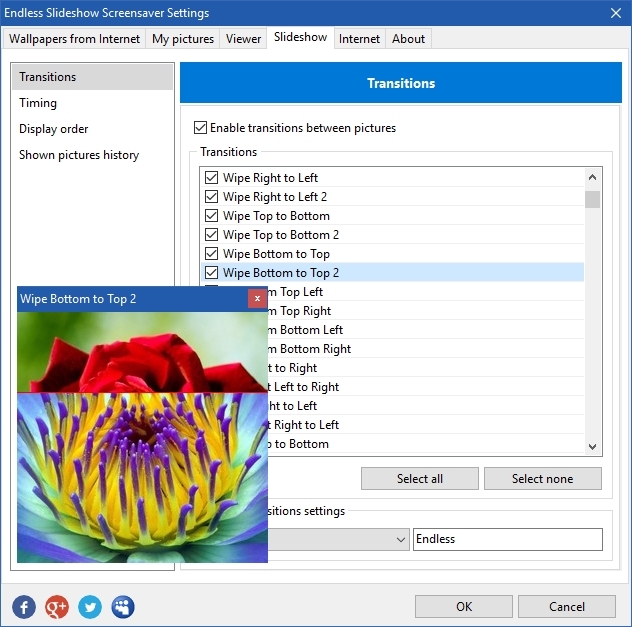 Second - it automatically downloads desktop wallpapers from the Internet and displays them in a slideshow along with your photos. You just have to choose a wallpaper category among more than 20 (Nature, Animals, Anime, Cars, Girls, Men, Cartoons, to name a few) and enjoy fresh pictures every time the screensaver is on! Plus, you can set any picture as desktop wallpaper with a single key press. Endless Slideshow Screensaver is absolutely free, so download the installation package, install the screensaver and enjoy! Absolutely free to download and use! Of the available screensavers I was able to use Endless Slideshow was the best! We have the computer connected to the TV and Endless Slideshow is our default screensaver and randomly selects one of the 2000+ photos from our My Pictures directory and folders. We sometimes just watch the screensaver for entertainment. Endless Slideshow Screensaver is one of the best designed pieces of software I've encountered in a long time. I have over 25 thousand pictures stored in near a thousand subdirectories and it seems to find them all at one time or another; and the presentation options are great! I'm a programmer/system architect and usually very critical of most of what's produced. But this living photo album is a great product. I love it and I always recommend it. Your work has provided me with much joy. I love your application! I am a student, and I use a screensaver to destress and keep my mood happy when I see my screen. I love landscape, nature, and city pictures. It's an easy way to relax and stay focused. So, thank you for creating this application. Thanks for this great program! I love it! I'm a photographer and use it to randomly watch photo-collections. Since I downloaded your slideshow screensaver a year ago the whole family loved it. The pictures changes seamlessly and beautifully, plus there have been new pictures added every now and then. We are not changing your screensaver with another one. It's an excellent show! Thank you. I'm crazy for nice pictures sliding on my PC when I'm not using it, and I have tested almost 60 slideshow screensaver software (I'm a serious tester), and I got to say that none of them comes even close to Endless Slideshow Screensaver in terms of transition effects and ease of use.